Water is an important element. The human body uses water in all its cells, organs and tissues to help regulate its temperature as well as maintain regular body functions. 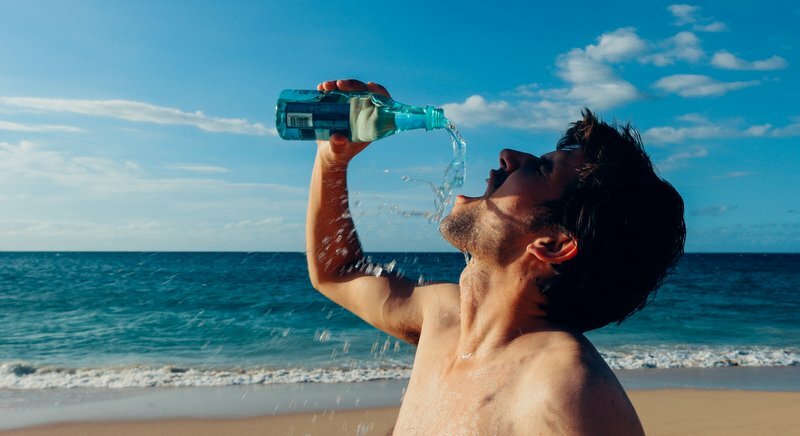 Did you know that the body loses water through breathing, digestion and sweating? It is important to rehydrate by eating foods and drinking fluids that contain water. Do you lead a busy lifestyle? Are you always on the go? Perhaps you are forgetting to drink enough water throughout the day? If that is the case, there is no need to worry. 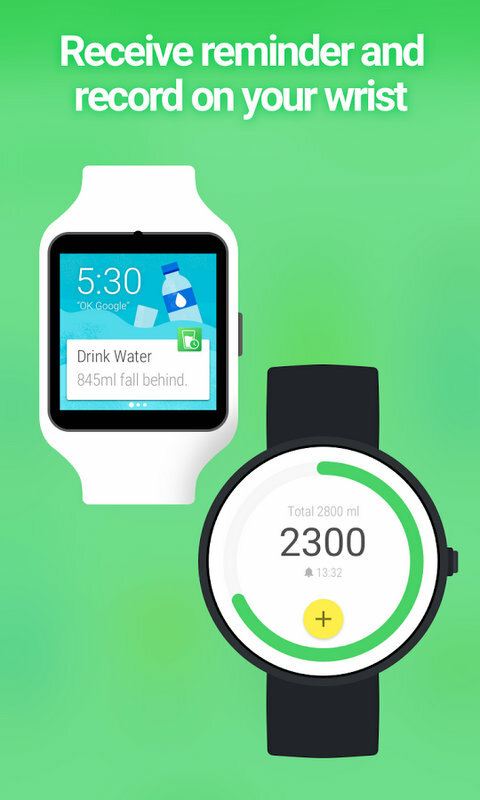 Today there are loads of hydration apps available for both Android and iOS. While each app is geared towards getting users to drink more water, I have chosen these three based on the quality of the app and their reliability. Don’t forget to drink water ever again! Download one these apps to help you stay hydrated throughout the day. Waterlogged is a hydration tracking app with reminders which makes it virtually impossible to forget to drink enough water. 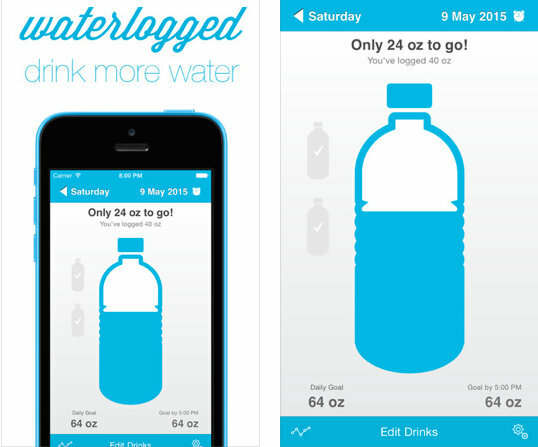 Waterlogged is truly an innovative app that takes the “drink water” reminder to the next level. The app lets users save the types of bottles and cups that are generally used for drinking water. It is a simple process and all that you have to do is click a picture of the containers used for drinking water and then save it with the exact amount or quantity of water it can hold. The next time you want to drink water from a specific bottle or cup, just tap it from the list of options and your daily targets will get updated accordingly. Waterlogged ensures that you will never go thirsty again, plus it has other health app integration for extra motivation. Hydro Coach is a neat little app that ensures you drink enough water every day. The app calculates how much water you need, tracks what you drink in a given day and also reminds you when to drink. Hydro Coach’s formula calculates your ideal water intake requirements based on a variety of factors such as age, weight, gender and lifestyle. Select your favourite glass and Hydro Coach will remind you to drink and refill it. Hydro Coach is an easy way to improve your health with personal notifications for when it is time to drink water. The app also features a simply designed personal diary that lets users keep track of their daily water intake as well as daily water balance. 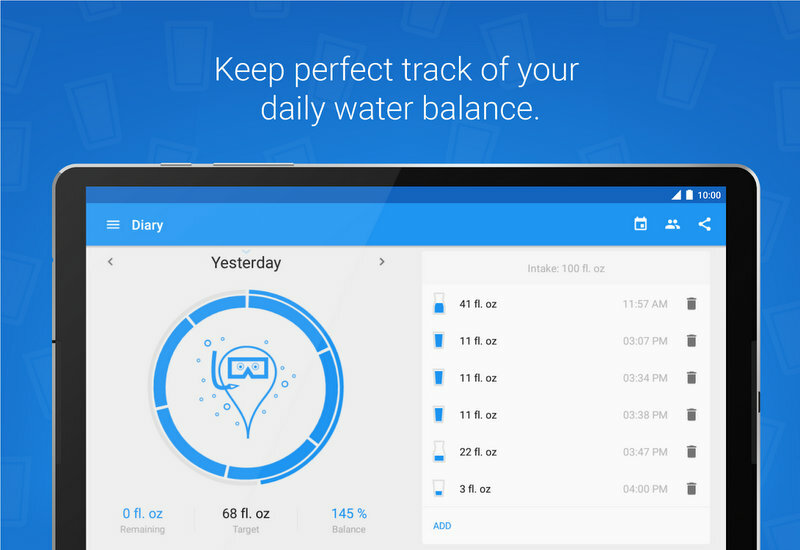 Water Drink Reminder is a simple app that reminds its users to drink enough water. Drinking water keeps us hydrated, but it also curbs snacking and can help with headaches. Water Drink Reminder sets a recommended water intake based on a user’s weight. The app is unique in that in addition to tracking your weekly water intake it also tracks your weight. Water Drink Reminder allows you to set your schedule with regard to reminders to drink water. The app is flexible as well, which means if you accidentally sleep in you don’t have to worry about missing that first glass of water in the morning. Water helps regulate the body’s temperature, protects tissues, lubricates joints and helps flush toxins and wastes from the body. An individual needs to drink a certain amount of water every day based on how much they exercise, general health and environment (tropical climate, altitude) – pregnancy and breastfeeding can also play an important factor. It is hard know exactly how much water an individual needs, but these hydration apps are a sure give you a pretty good idea and ensure that you drink enough water on a daily basis to keep you healthy and hydrated.